On June 12, a car crash involving two vehicles was reported to Massachusetts State Police. The accident was reported to police around 11:30 in the morning. State police and other emergency crews were dispatched to the scene of the collision. The incident occurred on Route 95 Northbound near the corner of Mechanic Street and South Main Street. Once arriving at the scene, emergency personnel found that one of the individuals involved in the accident had been injured due to the crash. They were given medical care at the scene, but the extent of their injuries is still being determined. No fatalities were reported. The scene was cleared within the hour, and traffic was able to resume as normal. The exact cause of the accident is still under investigation. 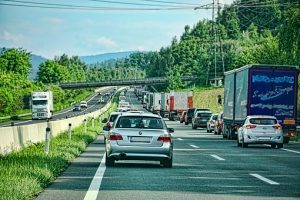 Vehicle accidents can happen even when we are not expecting them to, and accidents that occur on freeways can be especially devastating. Reckless driving can leave people suffering from injuries and can even cause deaths. Drivers must all do their best to remain aware of what is going on around them. We all have a responsibility to do our part to keep ourselves and others safe from accidents. Safe driving helps keep our communities a great place to live. Car accidents that involve more than one vehicle can be very dangerous. These accidents are no joke, and they can leave people suffering from detrimental injuries. It is vital for all drivers to remain aware whenever they are behind the wheel as reckless actions can cause fatalities. Accidents that occur on freeways tend to be especially scary as vehicles are driving at high speeds. Victims who are injured in these accidents can seek to recover their losses so they can focus on healing. We at the Law Offices of Jeffrey S. Glassman are concerned members of this community, and we care deeply about our roads being safe. We want to remind all drivers to do their best to keep accidents from happening. However, we are aware that accidents can and do happen, so, when they occur, we are also here to help victims recover the assistance they are looking for so they can return to their daily lives.